We had the 66th discussion meeting of the Society of Rheology, Japan, in Hakata from Oct 17 to 19. I am deeply involved in this specific society in many aspects. For example, I was in charge of the organizer of one of the sessions. And, I had to organize the editorial board meeting as the editor-in-chief for the journal of the society. Apart from these assigned tasks, there are many friends and past collaborators there. I have to maintain the network. For instance, a researcher working in the cosmetic industry came to me. He told about his research project for the stabilization of colloids. Their experiments are very much similar to the topic of Mr. Natsume. Because he did not come to this meeting (and he went to the other meeting), the researcher may visit our group later. Besides, it is also great to find a new possibility of collaboration. Specifically, this time, I talked to Prof Saito from Kyoto University about the possible project for the measurement of local stress in polymeric liquids. He has the unique technology, and a combinatorial use with my simulations would give useful insights of polymer dynamics and rheology. He and his students will come to my laboratory for further discussion shortly. Among the other talks, I was impressed by the lecture by Prof Mizuno, who attempts to measure the viscoelasticity of the liquids inside of living cells. According to his speech, for such fluids, the viscosity strongly depends on the biological activities in the cell. For the measurement, he utilizes the fluctuation-dissipation theorem, for which Prof Briels made the exciting seminar in my group. 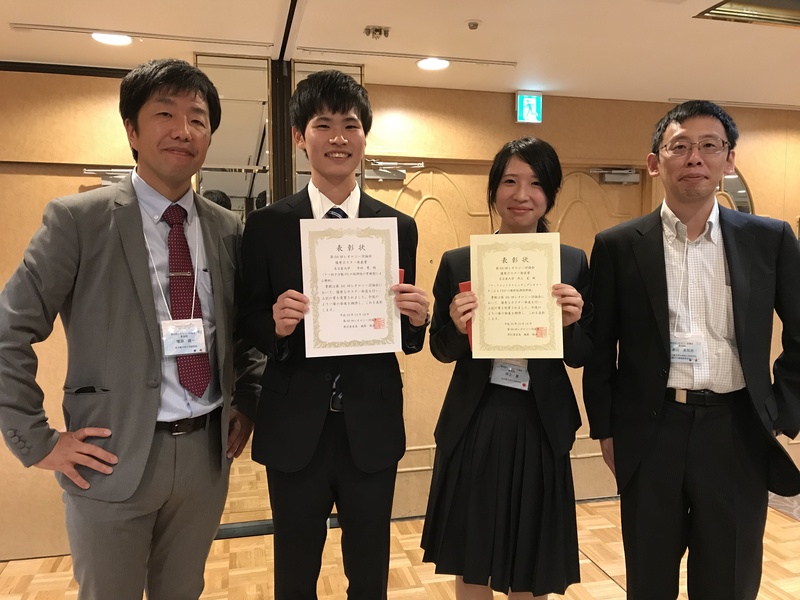 The great news for this time is that Mr. Kusada and Ms. Inoue got the best poster award. The award jury selected the seven winners among 60 posters, including the two guys from our group. I appreciate the consideration from the people there, as well as the made by our two winners. I wish them further progress.